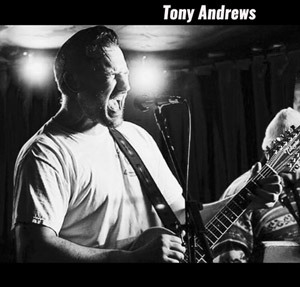 Tony Andrews has been the front-man in gigging rock bands in and around London Town for the past 8 years. Tony played rhythm guitar and harmonica in his first blues rock band; �The Blue Raccoons�. The band split before Tony was able to take the advice of EMI Music Publishing, to bring �The Blue Raccoons� stateside. 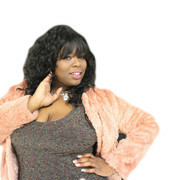 Recently Tony Andrews was selected as a Big Fuss Records �Artist To Watch� for his song, �Beautiful Day�. The song is about a day in the life of Tony�s dog, �Billy� who loves the beach so much, that all he wants to do is fetch sticks from the sea, all day long. In �Beautiful Day� Tony sings �I'm gonna take a swim, in the big blue sea, there's a big old stick on the sand just for me, I'm gonna run like thunder, ramblin through those waves, no need to wonder, these are happy days.� Tony will be back in the studio on 20th May to record his raw energy rock song "Iron John"...a song inspired by The Brothers Grimm story 'Iron Hans'.